Applied Driving Techniques (ADT) has teamed up with artificially intelligent mobile solutions specialist Sfara to develop a new fleet safety and compliance solution that provides targeted training without fleet manager intervention. A key part of the new smartphone-enabled solution is the use of ‘Triggered Training’; this uses proprietary technology via the Sfara Companion smartphone app to detect risky driver behaviours and provide a real-time audible alert. 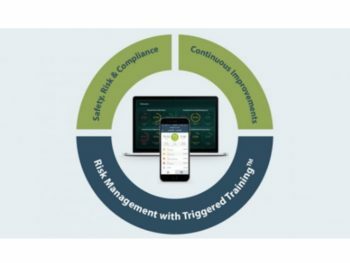 Additionally, details of any triggered event will be shared with ADT’s system, so patterns can be determined and, where necessary, tailored messages or e-training modules sent automatically to the driver. The firms say it will provide a risk-mitigating solution to the driver faster than traditional fleet telematics delivers the problem to the fleet manager, leaving the manager able to take a more hands-off approach for minor infringements and focus on higher-risk, persistent offenders. As well as helping to cut the fleet manager out where possible, the solution – which is available globally – also works to secure driver buy-in through built-in safeguards that help make drivers more comfortable with the technology – based on the principles of a ‘Just Culture’. The solution takes advantage of Sfara’s on-device data processing, which eliminates the need for an always-on tracking stream that is transmitted for review and storage. As a result, only relevant events will be reported, complying with GDPR data minimisation. Drivers may also clock-out at the end of the day by going ‘incognito’ or if a journey includes a taxi, ride share or other method of travel, drivers can mark a trip as ‘non-scorable’ ensuring that no data is sent to employers during this period. This means the control of data flow is placed in the hands of the driver.